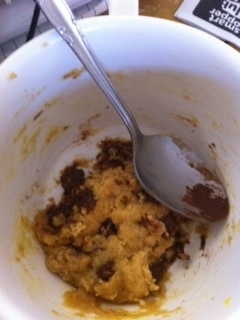 A Delicious Chocolate Chip Cookie in a Mug! 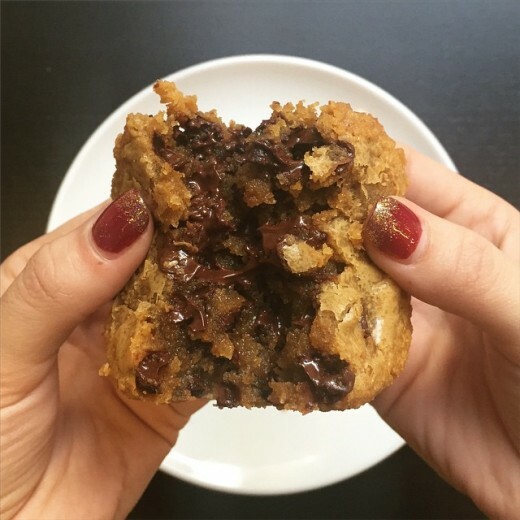 There are times that you may be craving a fresh, warm decadent chocolate chip cookie but do not have the time or energy to cook up a whole batch. When that happens a chocolate chip cookie in a mug is the answer! 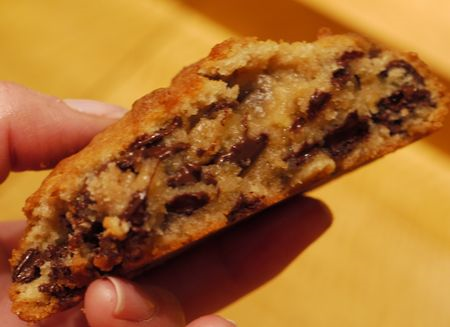 This recipe calls for a few simple ingredients that when mixed together create a cookie that is gooey, sweet and soft, and tastes like it is homemade in as little as five minutes. 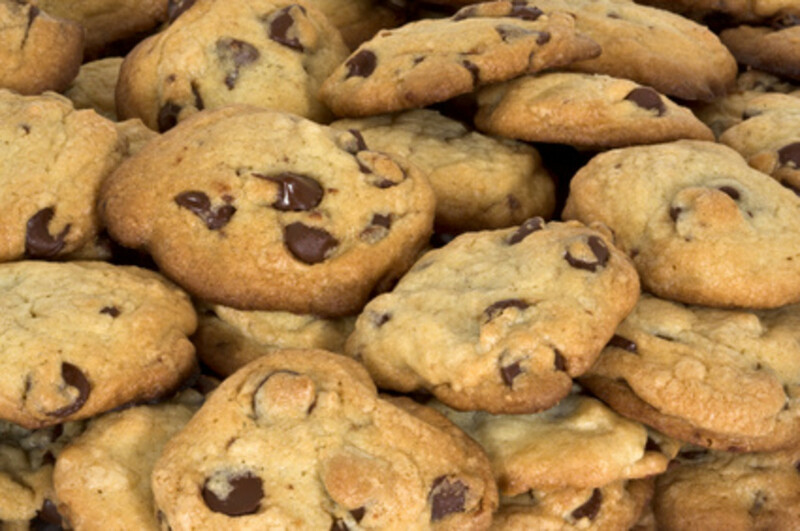 Tip: I find that the recipe works best in a larger mug, so that the cookie is thinner and cooks evenly. Irresistible microwave cookie in a mug! First, melt the butter in the microwave. About 15-20 seconds should melt it partway, then shake it a bit in the container and the rest will melt! Be careful not to overcook! Next, add the sugar, brown sugar, vanilla and egg yolk to the butter and stir completely. After that, stir in the flour and chocolate chips. Then, evenly distribute the dough across the bottom of the mug. Microwave for 35 seconds and check to see if it is done. 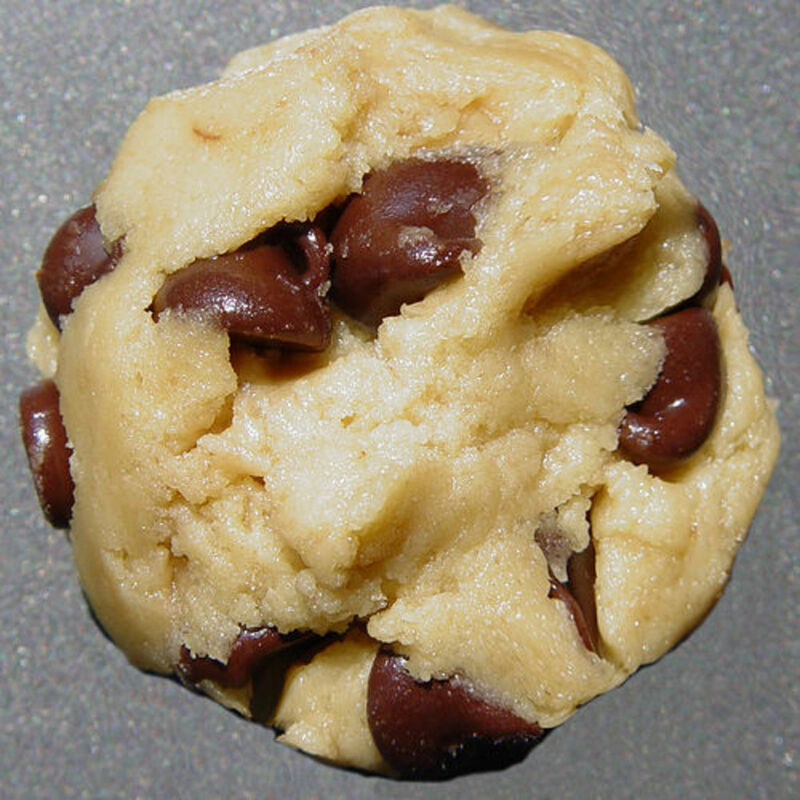 The cookie dries out easily so be careful not to overcook. The top will look a bit shiny but once a toothpick or fork is inserted the level of done-ness will be clear. If the cookie is not done after 30 seconds continue to reheat in ten second increments. Enjoy! 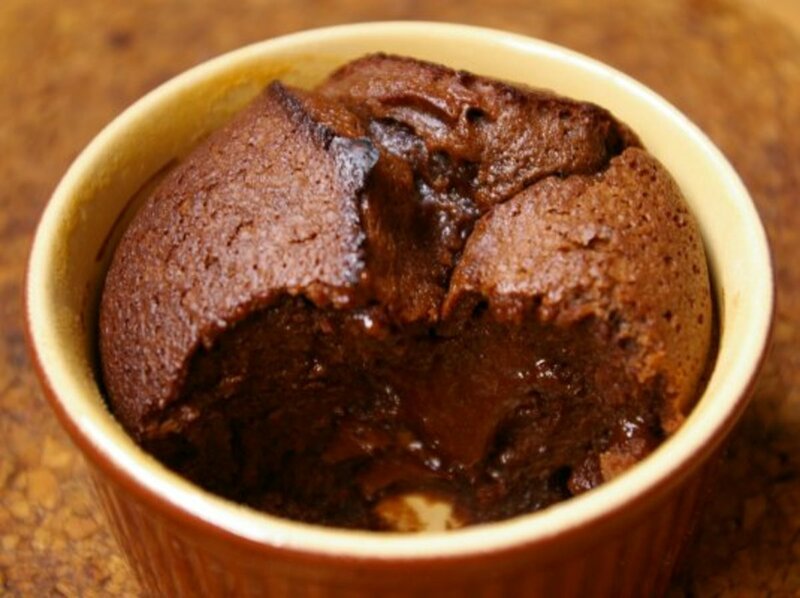 Mug cakes are the perfect treat for people who live alone, or for someone who wants a quick dessert that tastes great. The best part is that this warm, comforting cookie is easy to make and doesn't require the preparation of an entire batch! 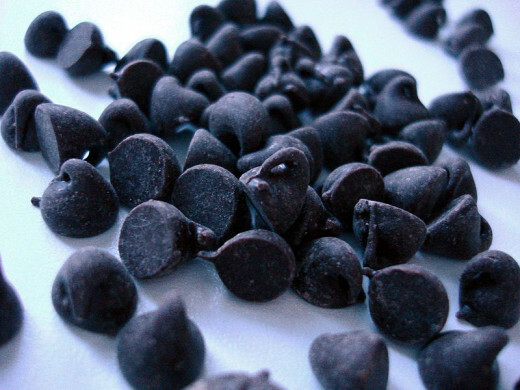 They are particularly convenient when you are craving a chocolate chip cookie that is fresh and want it fast! 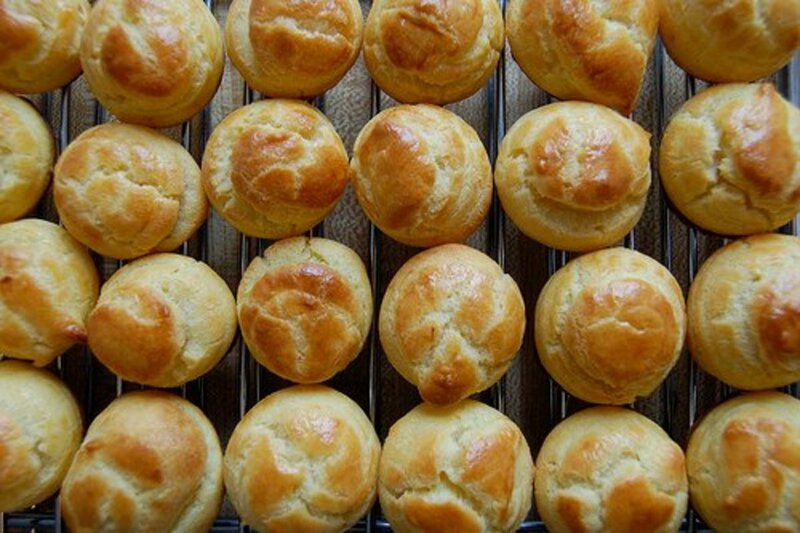 Looks like a quick, tasty snack!